Armonk, N.Y., USA - March 14, 2013 - IBM (NYSE: IBM) today announced the creation of the IBM Customer Experience Lab, dedicated to helping business leaders transform the way customers experience their products, services and brands through the use of mobile, social, cloud and advanced analytics technologies. IBM Customer Experience Lab Blends Research Innovation with Business Consulting to Address Priorities of C-Suite Leaders in the Era of Big Data. IBM Thomas J. Watson Research Center. IBM Researchers in the Watson deep question answering computing system lab are collaborating with medical professionals, universities and service providers to improve patient outcomes. IBM (NYSE: IBM) today announced the creation of the IBM Customer Experience Lab, dedicated to helping business leaders transform the way customers experience their products, services and brands through the use of mobile, social, cloud and advanced analytics technologies. 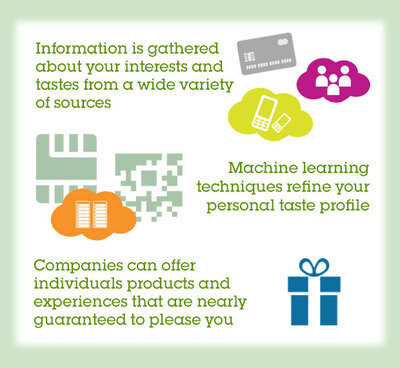 IBM Research scientists and business consultants will co-create with clients to deliver systems that learn and personalize the experiences of each individual customer, identify patterns, preferences and create context from Big Data, and drive scale economics. This scanning tunneling microscope is one of two that have been built in-house at IBM Research – Almaden and it is used to image and move atoms. In 1956, IBM Research established its first West Coast laboratory in San Jose, helping to create what would eventually become Silicon Valley. In 1986, IBM Research - Almaden became home to a rapidly growing team of scientists and researchers. IBM Research - Almaden boasts a rich history of breakthroughs that include the distributed relational database; the ability to position individual atoms; the first data mining algorithms; the IBM Microdrive – the world's smallest disk drive; racetrack memory; and innovations in data storage technology. Today, the researchers there are focused on new breakthroughs in areas as diverse as nanomedicine, services science and storage at the atomic scale. The IBM Customer Experience Lab will provide CEOs, CMOs, CFOs, heads of sales and other C-suite executives direct access to a virtual team of 100 researchers, supported by the deep industry and domain expertise of thousands of IBM business consultants addressing the opportunities of the digital front office. Dr. Michael Karasick, Vice President of IBM Research - Almaden in San Jose, California oversees scientists and engineers performing exploratory and applied research at the home of the relational database and world's first hard disk drive. Today the lab specializes in areas including: storage systems, data management and analytics, nanotechnology, materials science, Web 2.0 technologies and what IBM calls Smarter Planet projects, such as healthcare informatics, water desalination and electric car batteries. In a recent briefing for financial analysts, Bridget van Kralingen, senior vice president, IBM Global Business Services, called “front office transformation” – of sales, marketing or customer service functions - the most important wave of business change since the advent of Enterprise Resource Planning in the 1990s. 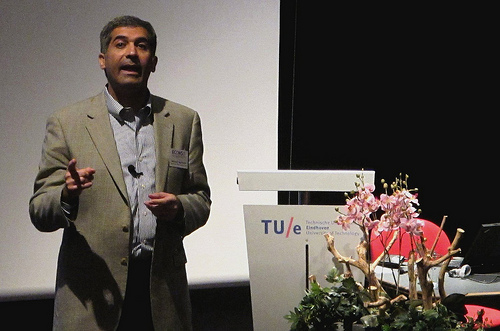 Mahmoud Naghshineh, Vice President, Services Research at IBM. “Business leaders realize they need to continuously transform their customer experience in order to be relevant and competitive – from the perception of innovation and value, to the quality of the interaction, to the economics of delivery,” said Mahmoud Naghshineh, vice president, Services Research at IBM. 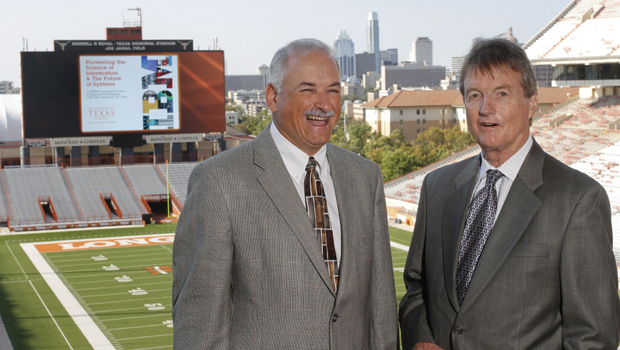 IBM Austin hosted a combined Centennial Lecture and Research Colloquium at The University of Texas. With 200 students, academic leaders, and industry experts, the event started with opening remarks by University President William Powers. Senior Vice President Robert LeBlanc then delivered his “Pioneering the Science of Information” Centennial Lecture. IBM Research – Austin Director Kevin Nowka kicked off the Research Colloquium, “The Future of Systems,” a series of presentations and panel discussions by industry and academic leaders, about the future of cloud and mobile computing, and system design. IBM researchers have participated in more than 1,000 IT business process and consulting client services engagements; 9,000 business analytics consultants have completed more than 30,000 client engagements over the last several years alone. In the new age of Big Data and analytics, organizations are reassessing how to move from addressing mass audiences to personalized relationships. 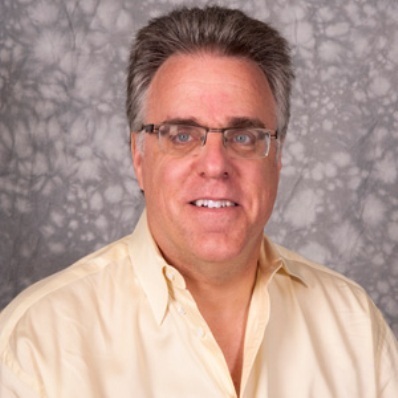 Chuck Alpert, manager of the IBM Research Design Productivity Group. Established in October 1995, IBM Research - Austin is one of 12 IBM research laboratories worldwide. The lab focuses on the hardware development of high-speed microprocessors; high-performance/low-power Very Large Scale Integration (VLSI) design and tools; system-level power analysis; and new system architectures. The same technologies allow enterprises to engage in new ways with their employees, allow government agencies to build new relationships with citizens, or enable new models of interaction among students and educational institutions. 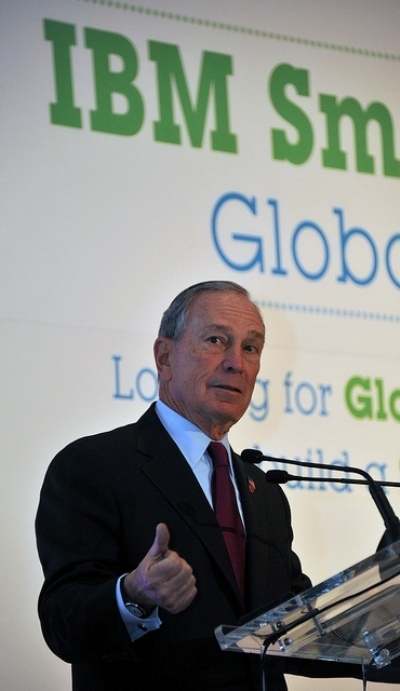 At IBM SmartCamp global finals New York City Mayor Michael Bloomberg addresses more than 200 venture capitalists, serial entrepreneurs and leaders in business and technology who attended the event. IBM Research is developing technology assets and capabilities that can help deliver front office capabilities as a service from a cloud, design novel products to match customer preferences, and leverage math and psychological theories of personality to improve marketing effectiveness. • Customer insight. Applying advanced capabilities such as machine learning and visual analytics to predict differences in individual customer behavior across multiple channels. • Customer engagement. Using deep customer engagement to drive insight and continuously deliver value by personalizing engagement, versus transactional experiences. • Employee engagement. Embedding semantic, collaborative, and multimedia technologies to foster employee engagement and insight – in person and online. The CEO's of eight startups participating in IBM SmartCamps join New York City Mayor Michael Bloomberg on stage at the event along with Jim Corgel, general manager of IBM entrepreneur programs and Claudia Fan Munce, vice president of IBM Corporate Strategy. The startups are bringing new solutions to markets such as cloud computing, business analytics, big data and mobile computing. Among the clients engaged with IBM on advancing their innovation process are Nationwide Building Society, the world’s largest building society serving 15 million members in the United Kingdom, and Banorte, one of the largest banks in Mexico with more than 20 million customers. 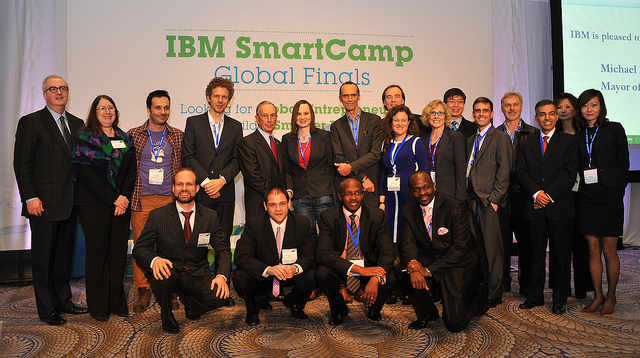 IBM Research – Brazil was established in June 2010, as the first IBM Research lab in South America with locations in Sao Paulo and Rio de Janeiro. Our research focuses on natural resource discovery, smarter cities and human systems, smarter devices and service systems. “Mobile and social technologies, and the ability to access information anytime, anywhere, is driving significant change in the way consumers bank and in the services they expect,” said Martin Boyle, Divisional Director of Transformation, Nationwide Building Society. 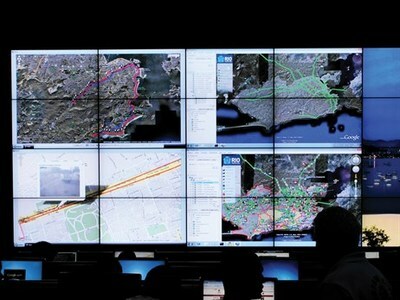 Rio de Janeiro's new public information management centre in operation. The Lab provides IBM clients with an innovation process, assets and platform to give line of business leaders the exclusive ability to work side-by-side with IBM researchers and business consultants to analyze business challenges and jointly create solutions that integrate next-generation mobile, social, analytics and cloud technologies. A Unique Public/Private Partnership - the Nanotechnology Center on the campus of IBM Research - Zurich. Co-creation with clients includes an innovation model called Innovation Discovery Workshops, which generate ideas, roadmaps, prototypes and solutions that draw on research assets, business consulting and IBM Software solutions in areas such as Smarter Commerce, Big Data, analytics, and Mobile First products. The IBM Customer Experience Lab will be headquartered at the Thomas J. Watson Research Center in Yorktown Heights, N.Y., supported by researchers at IBM’s 12 global labs including Africa, Brazil, California, China, India, Israel, Japan, Switzerland, and Texas. 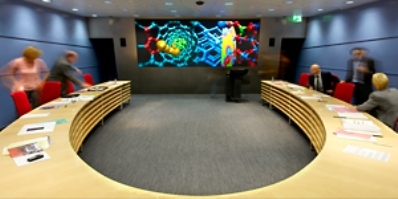 The Industry Solutions Lab is the unique place in Europe to pick the brain of IBM researchers, industry and trend experts, in order to tackle today's and tomorrow's challenges. 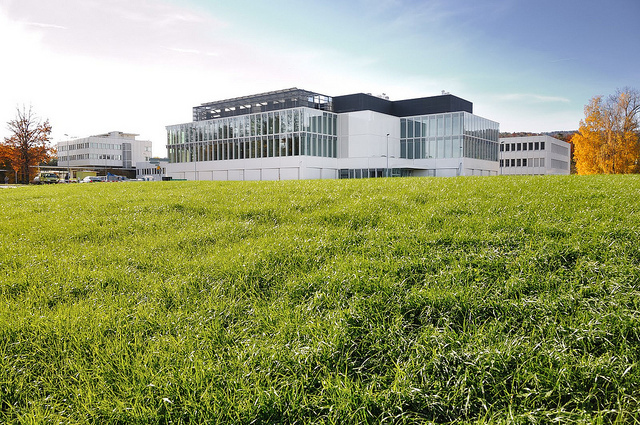 It is located on the campus of the famous IBM Research Zurich lab, home of two Nobel prizes. The Lab brings together skills across disciplines including service science, industries research, mathematics and business optimization, social, mobile, Smarter Commerce, data mining, cloud computing, security and privacy, cognitive computing and systems management. IBM invests more than $6 billion annually on research and development and employs about 3,000 researchers worldwide. IBM Global Business Services deploys business consulting, applications and delivery expertise globally, including market-leading business analytics, Smarter Commerce, mobility and applications management practices. Follow IBM’s innovation breakthroughs on Twitter at @IBMResearch. Bridget van Kralingen, Senior Vice President, IBM Global Business Services. Bridget van Kralingen is Senior Vice President, IBM Global Business Services, responsible for the strategy, execution and business results of IBM’s consulting, systems integration and application management services across more than 170 countries. GBS has more than 100,000 consultants and practitioners creating value at the intersection of business insight and information technology for clients in all major industries. 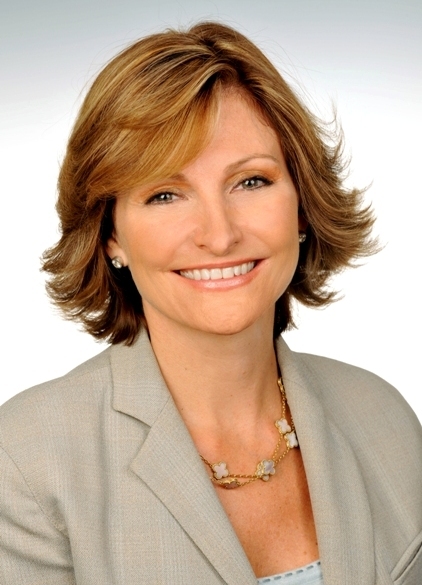 Previously, Bridget was General Manager, IBM North America, responsible for revenue, profit and client satisfaction for the full range of IBM's business in the United States and Canada. Before that, she led Global Business Services in Northeast Europe, Middle East and Africa. Bridget brings more than 20 years consulting experience to her current role. She joined IBM in April 2004 as global Managing Partner of the Financial Services Sector, following more than 20 years at Deloitte Consulting, where she was Managing Partner of the Financial Services Sector. She is a trained psychologist and began her career as a researcher at the Council for Scientific and Industrial Research. Bridget is a member of the Board of Directors of the Royal Bank of Canada. She also serves on the advisory board of Catalyst, a not-for-profit organization dedicated to expanding opportunities for women in business. In addition, Bridget sponsors IBM’s pro-bono initiative in microfinance, which has created a cloud-based microfinance technology platform for Latin America and an open source microfinance core banking application with the Grameen Foundation. The initiative has also designed loan products and the operating model for microfinance in South Africa. In 2011 and again in 2012, Bridget was named to Fortune’s "50 Most Powerful Women in Business" list. She was named by Euromoney magazine as one of the 100 most influential people in Finance in 2005 and one of Consulting Magazine’s Top 25 Consultants for 2006. She holds a Masters of Commerce degree from the University of South Africa and Bachelors of Commerce degree from the University of Witwatersrand.